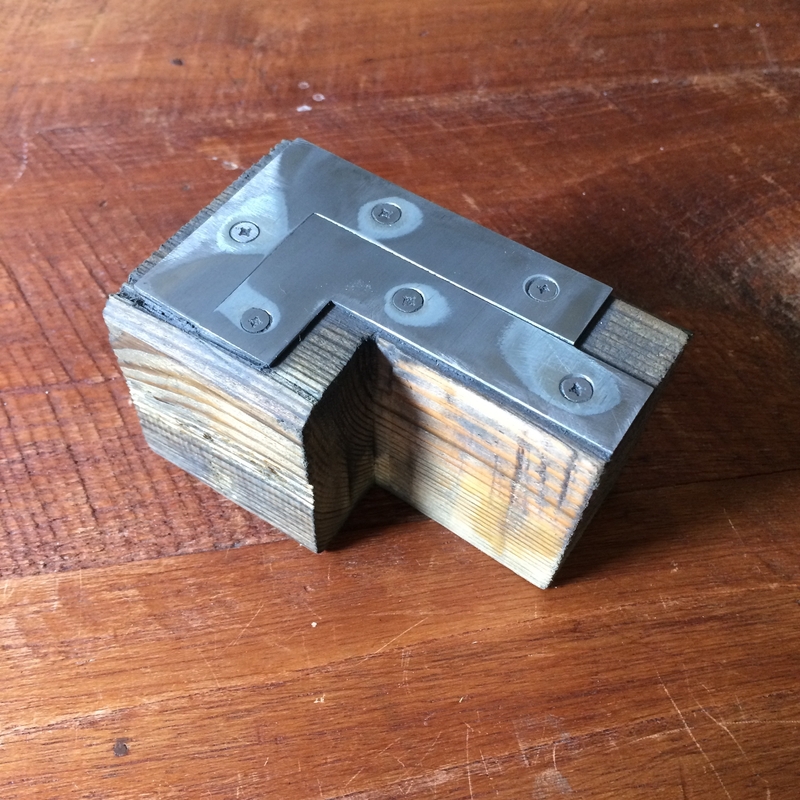 @David MacMillan For the moment I am using an L shaped facer made out of hard wood and a base enforced with metal plates. It's crude but works acceptably well. Question to master David: what is best stuff for facing punches, clear softer Arkansas stones or finer grain/harder dark ones? In Paput's book they seem to use a white one. Ramiro - I can pass on a couple of bits of information, but I would very much appreciate comments here by others. In my own attempts at punchcutting after Stan's class I've come as far as shaping the punch blank with files, but as yet (for unrelated reasons) have gone no further. So I don't have enough experience to comment with confidence (which will not, of course, stop me from rambling on for too long). In Stan's class, we used three kinds of stone. I my experiences in the class, I found that all three different grits/kinds were necessary. If you went too quickly to too fine a stone, you would spend ages at it. If anything, when I get back to practical bench work I'm going to try using *more* stages (more different grits) to see if that works better. The three grits we used in class were the Coarse and Fine grades of the Norton "India" stone (supplied together in a single two-sided combination stone) and a slate. He (Stan) said that they did not use slate at the I.N. Stan was using pieces of slate he'd found some time ago. A short bit of searching online revealed that there is still a firm in Wales selling slate sharpening stones. In the binder of material that Stan passed out at class, he mentions Arkansas stones before slate, as they're more generally obtainable. 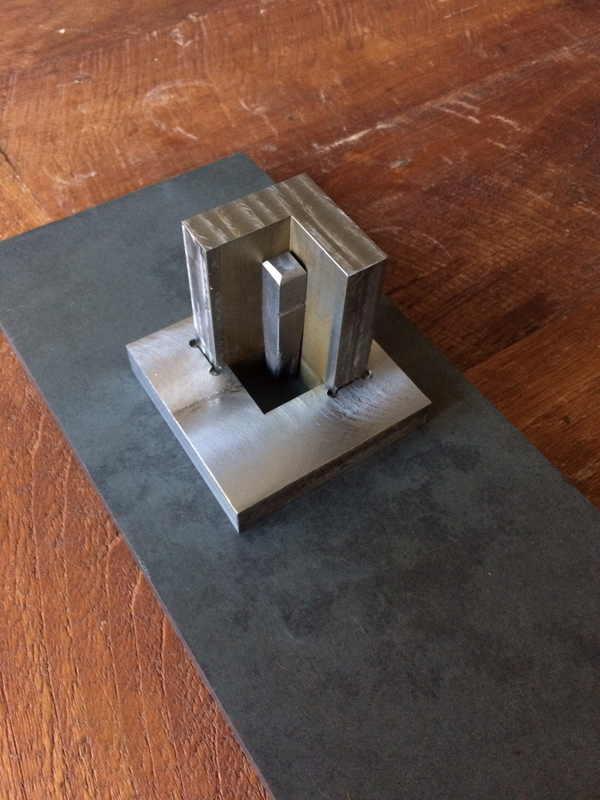 He suggests that you have at least a medium Arkansas stone, and probably a hard one as well - though he does say that his hard Arkansas stone cuts "hardly at all" and is of little use for larger punches. He also mentions slate, and says that he learned of it from Paul Koch's well-known Dolphin article - but that it isn't used at the I.N. I haven't yet figured out where the slate is in relation to the various Arkansas stones, but it seems as if it's probably something like a medium. Maybe. (but they don't list/offer slate). When you're working the punch on the stone in the Facer, I find it useful to work keep the punch's movement relative to the stone in the same orientation for some period of time. This way you end up with the lines on the work running all in the same direction (vs. random directions). When you start out with the Coarse India stone, you're trying to remove all signs of the previous filing. If after a short time working the punch in one direction you find that there are still deep filing marks present, or you find that the face of the punch is very much out-of-square and you're only working at one corner, it might be best to stop and to go back to file it square more carefully. You will be examining the punch under the loupe to make these evaluations. At every stage you should be able to see the effect of the stone on the face under magnification. by some easy angle - say, 90 degrees, or 45 degrees. The purpose here is to cause the new marks you'll make to be clearly distinguishable from the old. If you've successfully flattened the face, your new marks will pretty quickly replace the old ones. If they do, you're done with that grit. Then go on to the next level of fineness in the stone, and again rotate the punch so that the new marks will be clearly distinguished from the old ones. You know that you are done with one grit of stone when you can see only the marks it produced - with no marks from the previous, rougher, grit remaining. Once your punch face is polished, of course, you don't need to go all the way back to the Coarse India to re-polish. At every phase of using the stones, your surface will consist of a pattern of ridges and valleys - even with the finest grit stone, if you turn the magnification up enough you'll still see ridges and valleys. What you're doing when you go to a finer grit is you're cutting through the ridges produced by the old grit with smaller ridges/valleys produced by the new grit. At each level this should happen relatively quickly (hard to define "relatively," though). If it feels like (or looks like, under the loupe) you are just polishing the tops of the ridges without actually cutting through them, then you've gone to too fine a grit too soon. This happened to me when I tried to go directly from Coarse India to the slate. Try also to use all parts of the stone equally - not just the center. This evens out the wear on the stone and makes it last longer. ... having just opened Stan's class binder while writing this, I find that I missed a couple of points of identification on my page. 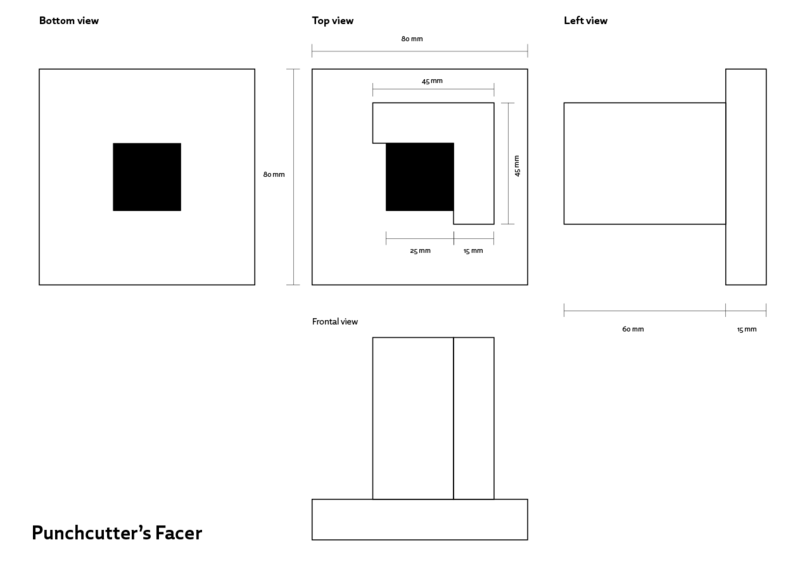 The larger square Facer that Stan has was made "based on a drawing by Henk Drost." He also illustrates one he made based on one at the I.N. It's like the Drost one, except that the base is circular and the raised part offset. That is, take a circle. Draw the four quadrants on it. Cut out most of one quadrant, leaving a ring at the outside, so that the punch goes near the center of the circle. Attach your raised pieces to support the punch. As with all things from l'Imprimerie Nationale, it just looks more elegant than other versions. I am about to ask a machinist to make a facing tool for me and I've prepared a technical drawing. If you want to use it or adapt it, you can ask me the vector files. 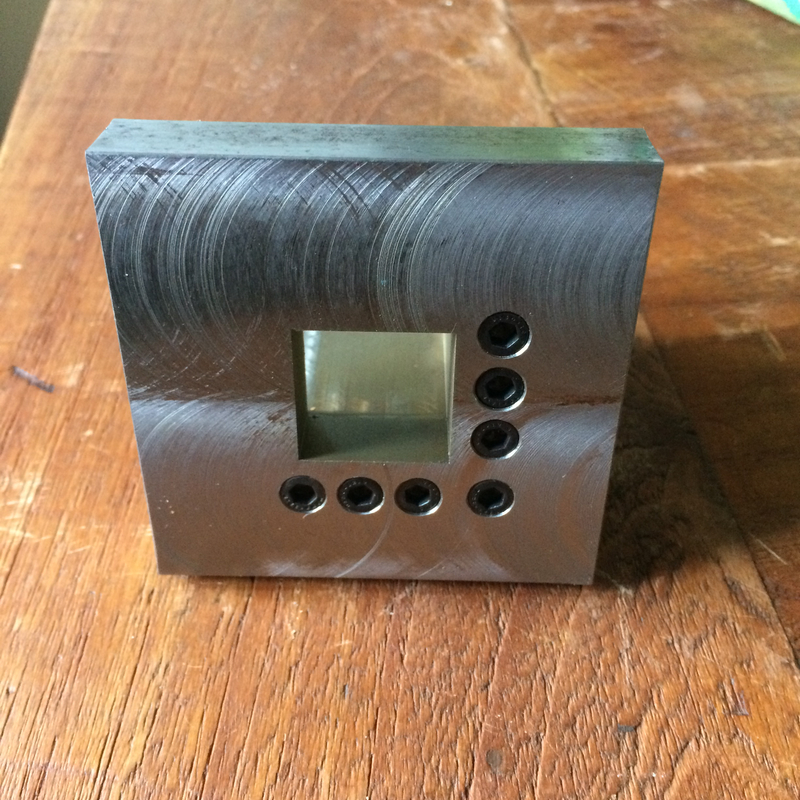 Today I picked the first the facing tool manufactured by the LIS.nl school. Can you post a picture of the bottom? There you go. The base was hardened to endure the abrasion and last longer.